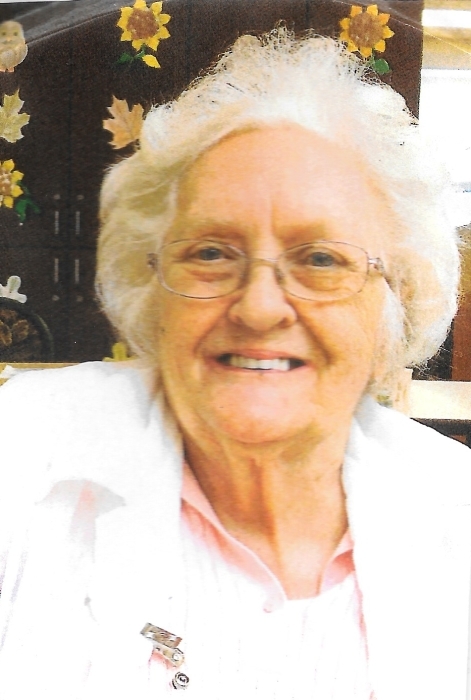 Amy Burgan, age 82, entered Heaven’s gate on Saturday, February 2, 2019 at the Heritage Hall Nursing Home in Big Stone Gap, Virginia. She was born Thursday, March 5, 1936 in Lee County, Virginia. She was her mother’s caregiver until her death May 3, 1989. Amy never married, but continued living in the home, now occupied by just herself, until recent illness caused brief stays at medical facilities. She was a member of the Powell Valley Seventh-day Adventist Church. She was a mother of no children but treated her nieces and nephews as her own. She is passed in death by her mother Ella O. Burgan; and two brothers, Don Burgan and Raymon Richard Burgan, Sr., and nephews Mike Burgan, Louis Monhollen, John Monhollen and Eric Monhollen. She leaves behind her sister, Luella Marie Burgan Monhollen of Knoxville, TN, age 92 and six nephews Garry (Sheila) Monhollen of Knoxville; TN, Lynn (Linda) Monhollen of Harlan, KY; Greg (Teresa) Monhollen of Charleston, S.C.; Bryan (Jackie) Monhollen of Tazewell, VA; Raymon Richard Burgan, Jr. of Germantown, N.C.; and Donald Mitchell Burgan of Troy, N.C. Also surviving, are two nieces, Vicki Burgan of Harlan, KY; and Cathy Louise Burgan Manring of North Carolina, and a host of other family and friends. The family will receive friends on Thursday, February 7, 2019 between 12 noon and 1:00 pm in the chapel of the Province Funeral Home in Pennington Gap, VA. Funeral services will began at 1:00 pm officiated by Amy’s pastor Dexter Edens. Internment will follow at the Powell Valley Cemetery in Dryden, VA, there, Pastor Edens will be assisted by Pastor Johnathan Monhollen of Cumberland, KY for the graveside services. Memorials and condolences can be sent to the family by visiting www.provincefuneralhome.com We are located at 42098 E. Morgan Ave. Pennington Gap, VA 24277. Province Funeral Homes are honored to be serving the family of Amy Burgan.